Everyone likes to get a freebie, and when it comes to getting something that is hard to find free of cost, it is time to get excited. Texas Overhead Door appreciates all of our customers, and we work hard to make your life more convenient in more ways than one. For example, we offer inspection and maintenance services to ensure that your utility bill is the lowest it can be all year-round. 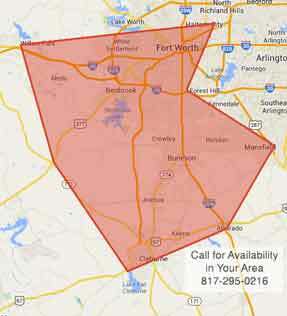 Now, we have created a garage door remote battery program available in our Texas Overhead Door service area. You can also get a free garage remote battery replacement when we are are servicing your home or business. Contact us to get a free battery for your garage remote today! Although it is easy to find AAA or AA batteries, it is not very convenient to find other types of batteries or battery sizes. For instance, many garage door openers used hearing aid or watch batteries to operate. Other models will use lithium batteries (similar to the type that cameras use) for their garage door remote battery. Sadly, it can be an inconvenience to try and locate these types of batteries even if you use online services. For example, the battery may not arrive in mint condition because of fluctuating shipping temperatures. Adding to that, some of these batteries require that you buy more than you need which means you pay a higher price. By the time you need to use the rest of the batteries you buy, they are usually misplaced and that means you need to buy them again. If your remote is not working, is it only because the batteries are old? One of the easiest way to diagnose a problem with a battery-operated object is to change the batteries. 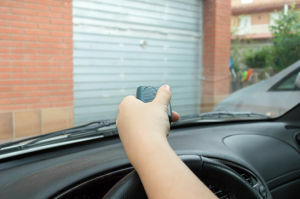 However, if you are part of the free garage door remote battery program, this also means that you are in front of one of our technicians when you change the battery and they can help you get the garage door remote repair you need. In other words, if you let us change your battery for free, we can help you assess if you need to order a new garage door remote or only need to have a simple garage door repair made to get it functioning again. More Americans than ever are aware that used batteries can be extremely toxic if they are not disposed of properly. For environmentally-minded homeowners and business owners, one of the main advantages of our free garage door battery replacement program is that we also recycle batteries. This is especially helpful since some battery types can require special shipping and handling to get them to the right facility. Naturally, Texas Overhead Door is always happy to make the lives of our customers worry-free in our realm of expertise, and we are also happy to make the earth a little bit greener at the same time. Get your garage remote free battery today! When you are one of our customers, you are welcome to ask our technicians for a garage remote battery replacement free of charge. To get started with our services today, simply contact us! To get involved with the free battery program, come by our Texas Overhead Door showroom or invite us over to your property for repairs, maintenance, installation, or inspection services for garage doors. Thank you for choosing us, and we look forward to your call!